Whoa. 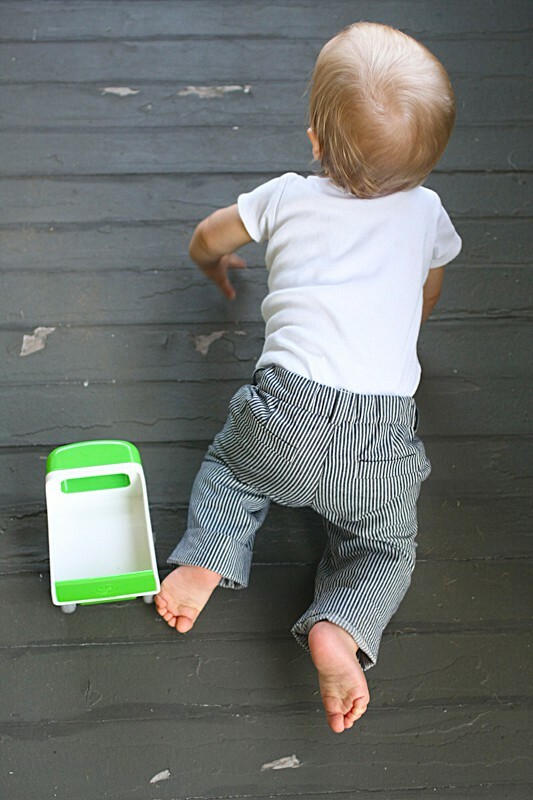 Use caution when you’re out browsing the internet today; you’re likely to trip over an Oliver + S pattern or two! So many of our blogger friends posted darling Oliver + S projects over the past few days, it’s hard to know where to start! I think it’s best to begin with some Art Museum Vests and Trousers, since they’re commanding the majority of the attention today. 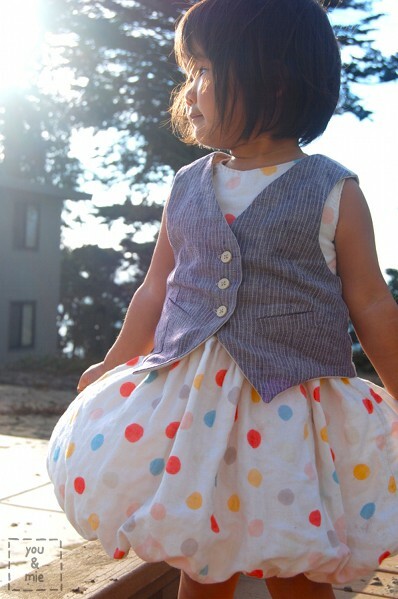 Our friend Kristin of Skirt as Top posted this adorable ensemble that she made (at the last minute, no less!) for her son. Meanwhile, Cherie at You and Mie still hasn’t delivered that precious baby (not to put any pressure on her to hurry up or anything), and instead of hanging around relaxing she sewed the Art Museum Vest for her daughter. (These women are dedicated sewists, aren’t they?) It looks great with a dress! I like the contrast of tailored with girly. Keep going, you say? No worries, I’m just getting started. 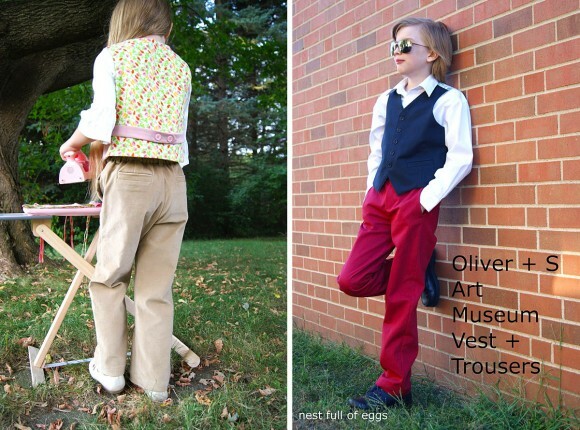 Katy of No Big Dill sewed the vest and trousers for her son. Go ahead and say it–awww! 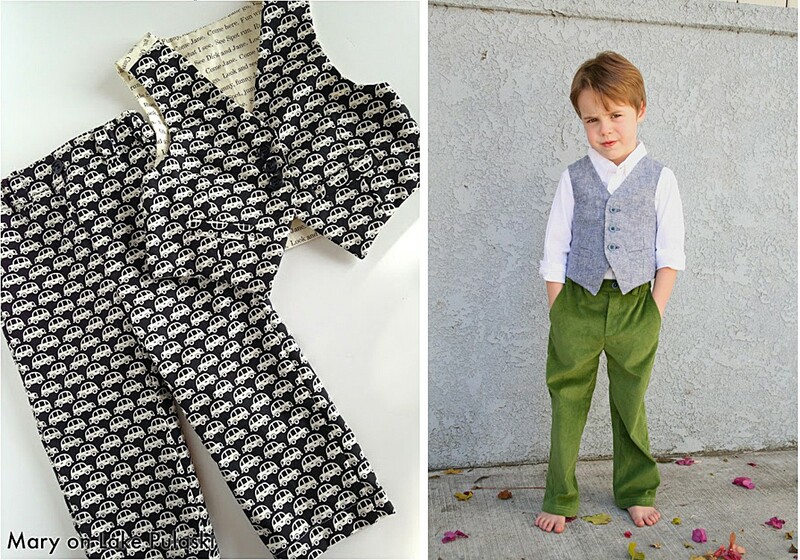 Over at Sew Mama Sew you can see two more inspiring versions of the Art Museum pattern: little cars AND one dapper-looking little boy who reminds me of a very stylish gentleman I passed on my way to the subway last week. 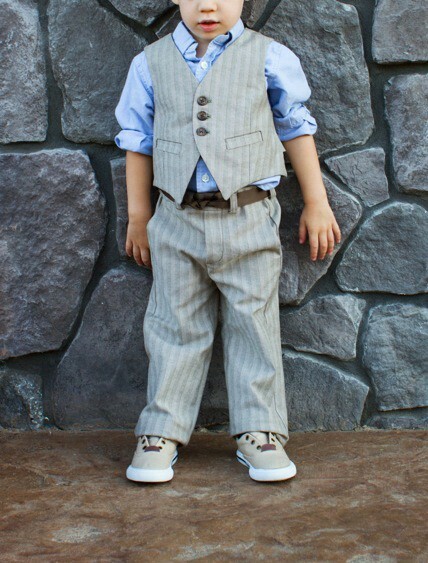 Fashion week brings on some great looks in New York, and Janice’s son would fit right in, he looks so elegant! 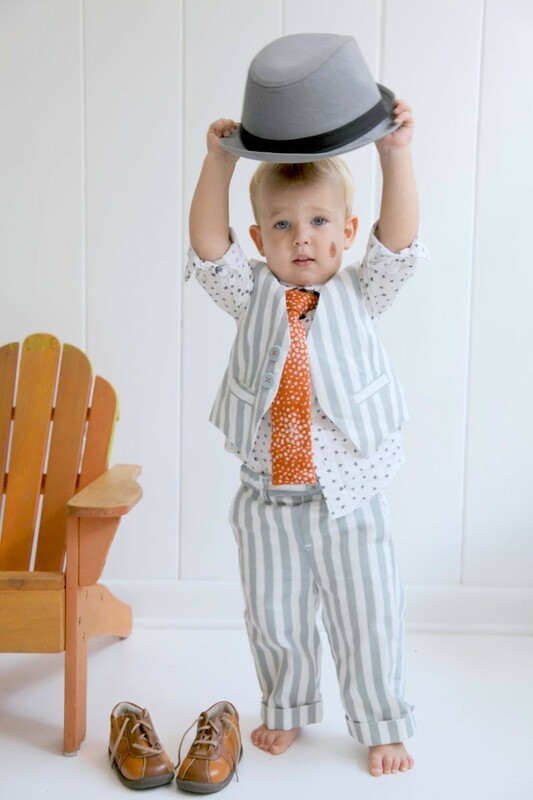 Be sure to visit the Sew Mama Sew post and follow links to see more photos of both outfits. And while you’re visiting Sew Mama Sew, don’t miss these great Playtime Tunics and Leggings and Library Dresses! It’s always fun to see how the same pattern can work for a wide range of ages, and all these photos demonstrate it very clearly, don’t they? Again, follow the links to see more photos and to read what each person had to say on their blog. Thank you so much to everyone who we included here. 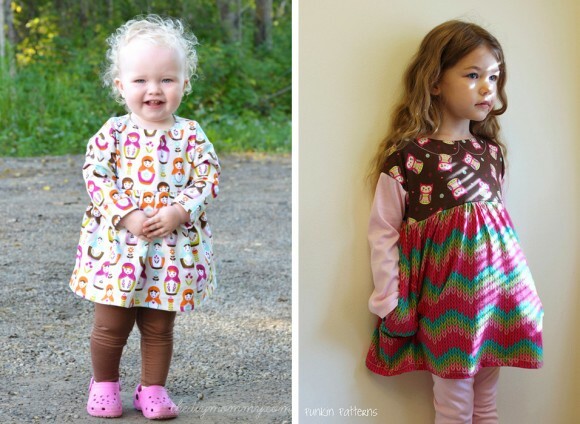 Such a lot of wonderful sewing you’ve done with these patterns! Before I sign off, don’t forget the Flickr group, where more adorable versions all the new patterns are popping up, including this super-sophisticated, elegant Library Dress, with just the flat piping in a contrast color. It’s subtle and perfect, in my opinion. Whew! I hope you had a great weekend! Did you sew anything? I’m finally had time to finish something I’ll show you later this week. Oh my goodness! So adorable! LOVE these!! Cute and inspiring! FYI the Art Museum Vest + Trousers I made are little cars t….not scull and bones! Ha ha! Mary, my apologies! I don’t know why I saw skull and bones when they’re very clearly little cars. Must not have had my glasses on! I’ve made the correction. Cheers! Ummmm… that toe headed girl? So cute it should be illegal, and not just the cutie patootie, but the outfit too!